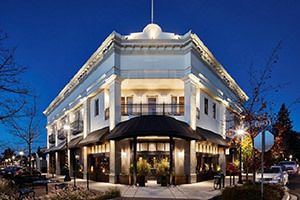 Since 1989 Alan B. Cohen, Architect, has been helping Sonoma County residents and businesses with their building projects. This includes new projects from the ground up as well as deep renovations, more modest remodels, and additions. In addition to residential work Alan has designed and managed the construction process on wineries, restaurants, industrial and agricultural buildings, offices and mixed uses projects. Alan served as a Healdsburg Planning Commissioner/ Design Review Board member for over a dozen years and is well versed in Healdsburg and Sonoma County planning and building policies and practices. If you are looking for help with your building project, give a call.